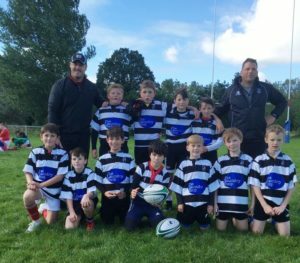 Our U11’s had a very strong start to the season this morning vs UL Boh’s in Annacotty. 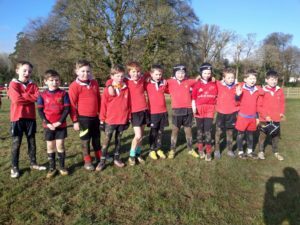 Winning both matches with a number of excellent individual performances. 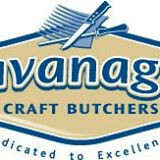 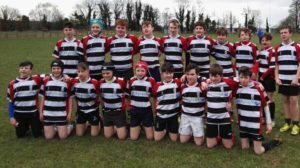 The team adapted well to the new rules at their level and are excited about the first blitz of the season in Shannon RFC next Sunday morning. 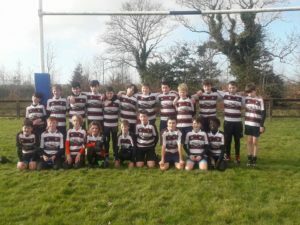 Well done to all of the lads, especially to Matt and Cian who played their first game for the club this morning and Sam who we welcomed back to the group. 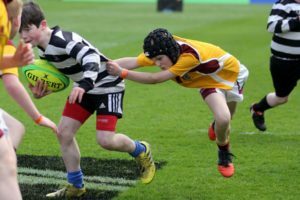 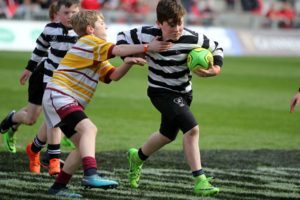 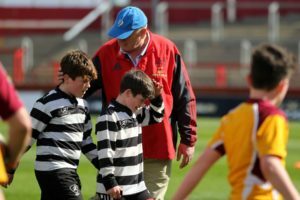 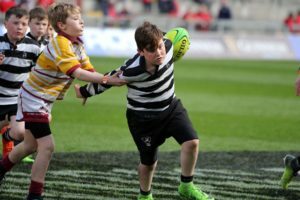 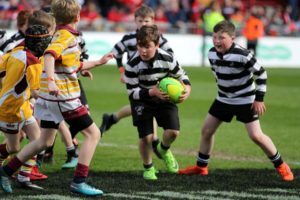 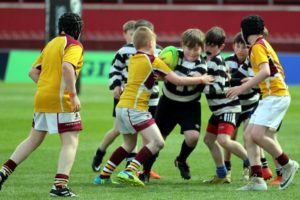 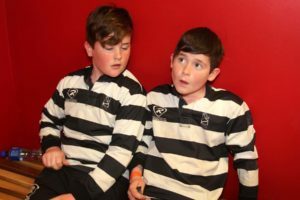 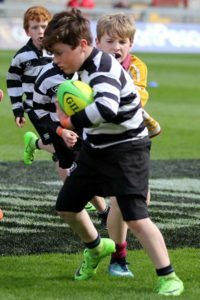 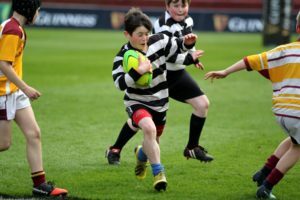 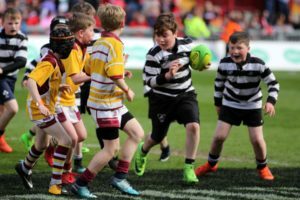 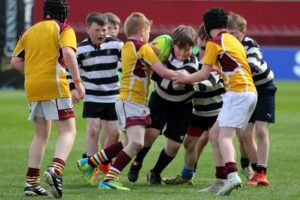 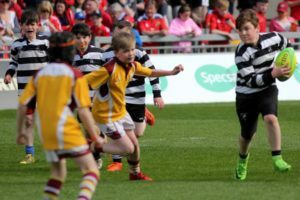 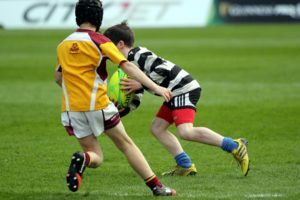 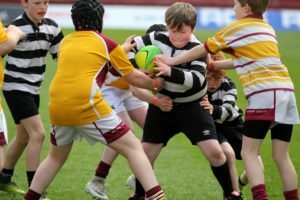 Photo’s of our U11 Mini’s in action at Thomond Park during half-time of the Munster vs Edinburgh Pro14 semi-final qualifier recently. 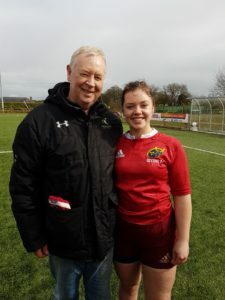 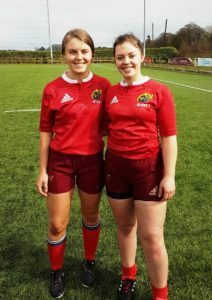 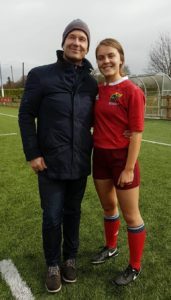 Congratulations to Maeve Óg O’Leary and Roisin Houlihan who lined out for Munster womens U18’s earlier today in Mullingar at the Women’s 7’s Interprovincials. 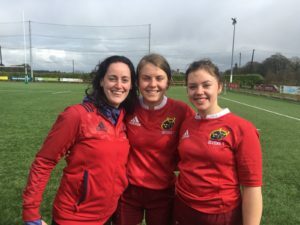 Great to have such a strong representation at inter-pro level from our club! 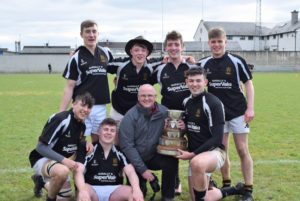 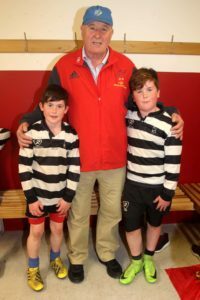 Former U16/U19 members of Ballina-Killaloe RFC share the moment of St. Anne’s CC Killaloe’s historic victory in the O’Brien Munster Schools Cup with their former club coach, Niall Tuite. 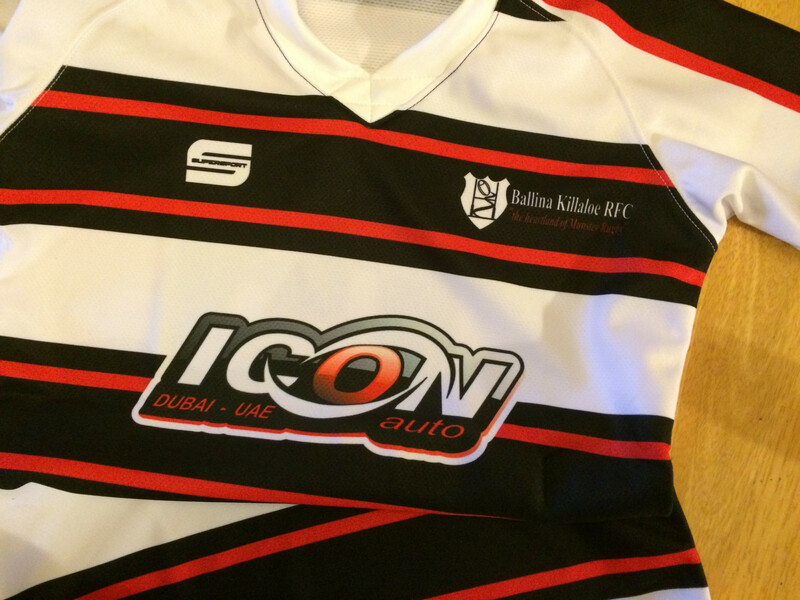 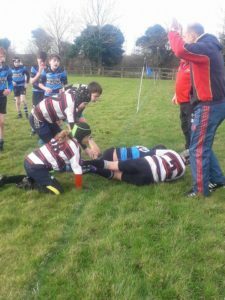 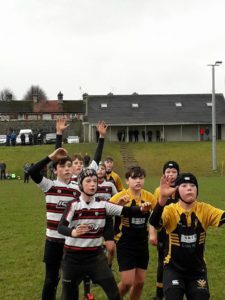 Sunday 12th January saw our U13 Squad travel to Clanwilliam RFC for a challenge match. 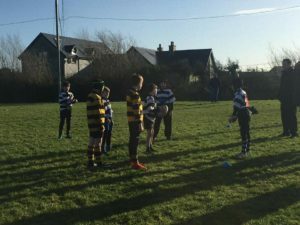 In tightly contested game our U13’s emerged victorious 10-7. 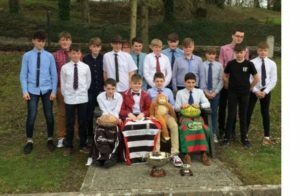 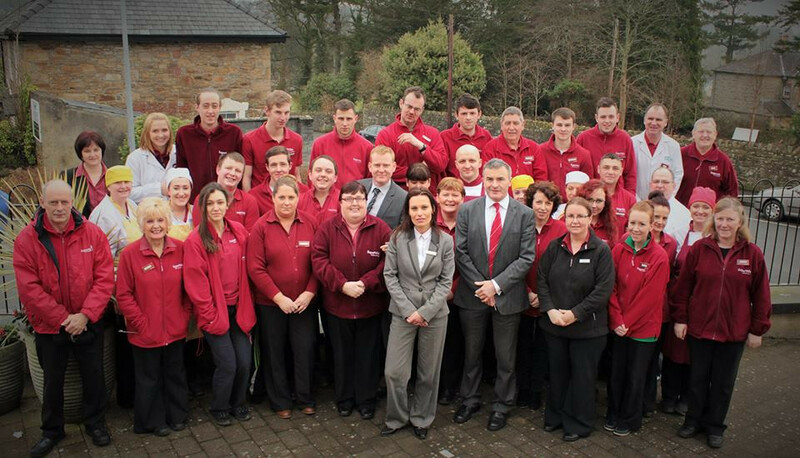 Many thanks to all those at Clanwilliam for hosting us. 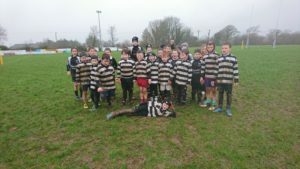 The Under 11’s took part in a Blitz in Scariff on Sunday 26th November. 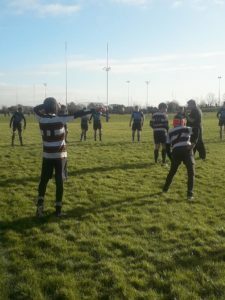 Beginning their day with a comfortable win against Garryowen, the team lined out against a well drilled Shannon side. 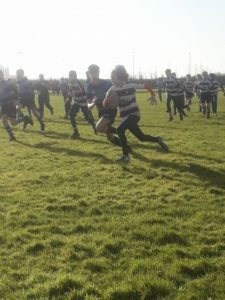 BKRFC conceded a soft early try and it looked like it could be a difficult game. 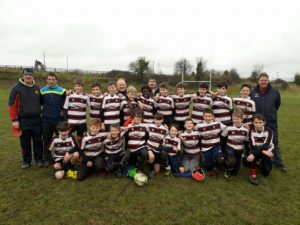 However with captain for the day, Zac Dillon finishing off a great team try BallinaKillaloe showed great character to turn the game around and win by a single try. 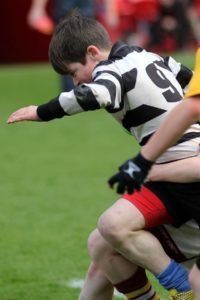 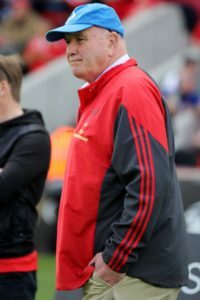 Their final game was in worsening conditions against the hosts who took the lead in the second half. 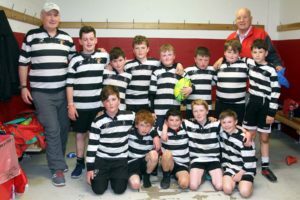 Ballina Killaloe defended courageously and worked very hard for Brendan Minogue to get their reward drawing level with a controversial TMO decision in the last play of the game. 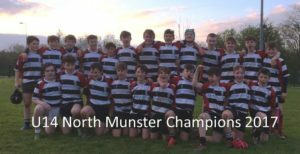 Well done to all the boys! 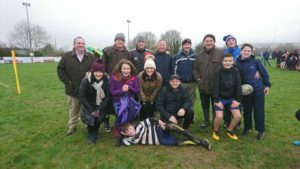 Also, the parents of the Under 11s who don’t get enough credit for braving mud, tears, blood(once!) 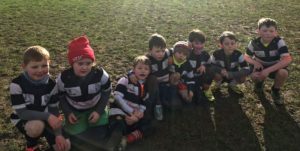 rain wind and almost sub zero temperatures to cheer on this great young team.Thank You!